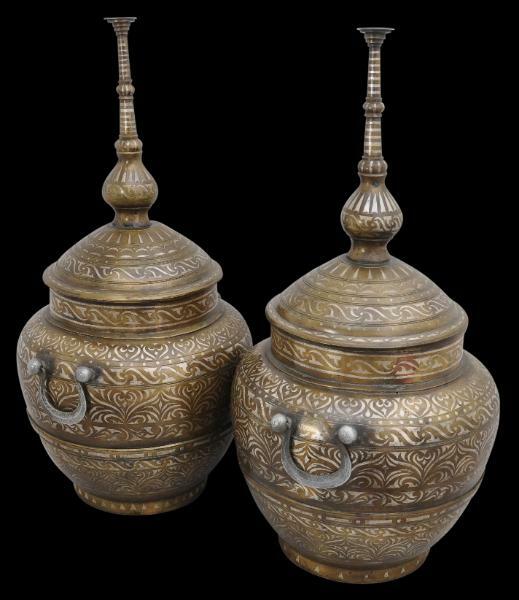 This pair of gadur (also written as gador) brass jars are of cast brass inlaid with silver. Each features a bulbous, rounded base that rises out from a low ring foot and rises to a thinner neck. 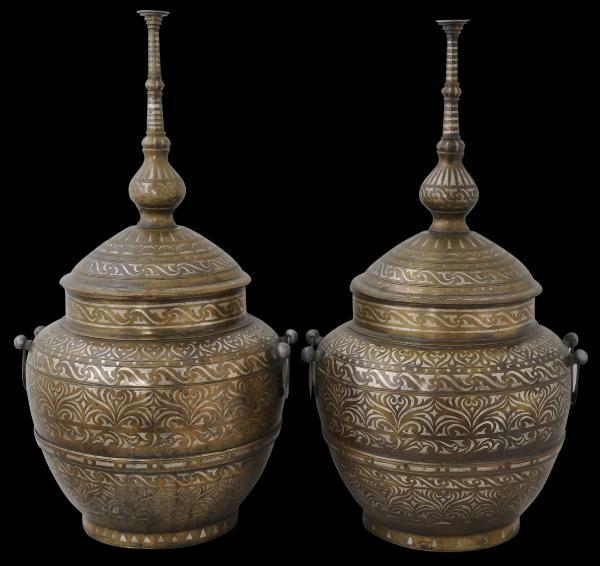 Each has a domed lid with a long, spire-like finial. Both have two pairs of handles on either side. 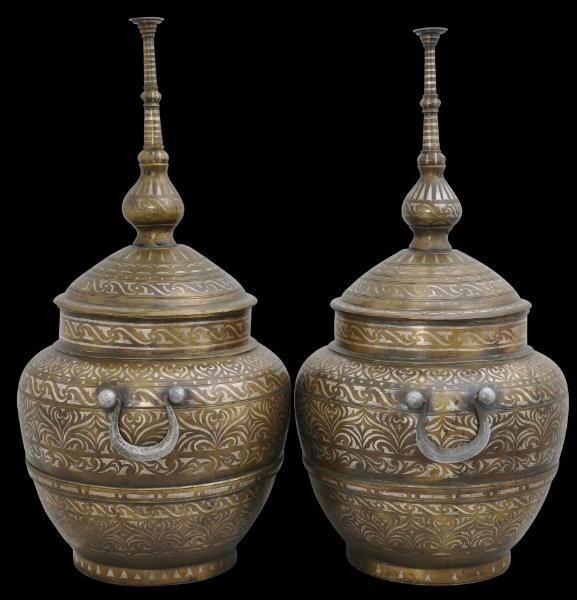 Typically, these are weak and ornamental only; they serve no practical purpose. obar-obar) and rope twist (obid-obid) borders. This type of decoration has its origins in woodcarving (Fraser-Lu, 1989, p. 110). 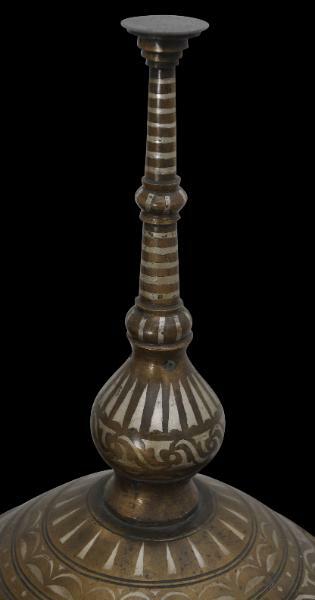 The spire finials are beautifully decorated with plain bands of silver all the way up. Pairs of such vessels are unusual. The two are in excellent condition for their age. They have a patina consistent with their age.